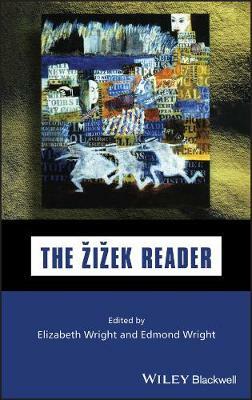 "The Zizek Reader" - which includes a Preface by Zizek and a new, previously unpublished essay on cyberspace - provides a comprehensive and accessible introduction to the flamboyant work of a figure who has been variously described as 'one of the most arresting, insightful and scandalous thinkers in recent memory', 'the Giant of Ljubljana...the best intellectual high since Anti-Oedipus'. His work is an extraordinary mix of Hegel and Hitchcock, Schelling and science fiction, Kant and courtly love, Stalin and Stephen King, all of which is strongly seasoned with Lacanian psychoanalysis. Divided into three parts - Culture, Woman and Philosophy - the "Reader" not only provides careful explications of the individual extracts within each section but also connects these extracts in a general introduction, mapping the shiftings of Zizek's thought within the Lacanian framework.The essays on woman offer feminism ammunition from unexpected sources, within a reading of Lacan that goes counter to his ambiguous reception by feminists. In fact, at this collection dazzlingly demonstrates, Zizek provides us with one of the most limpid and persuasive readings so far produced of Lacan's difficult thought.